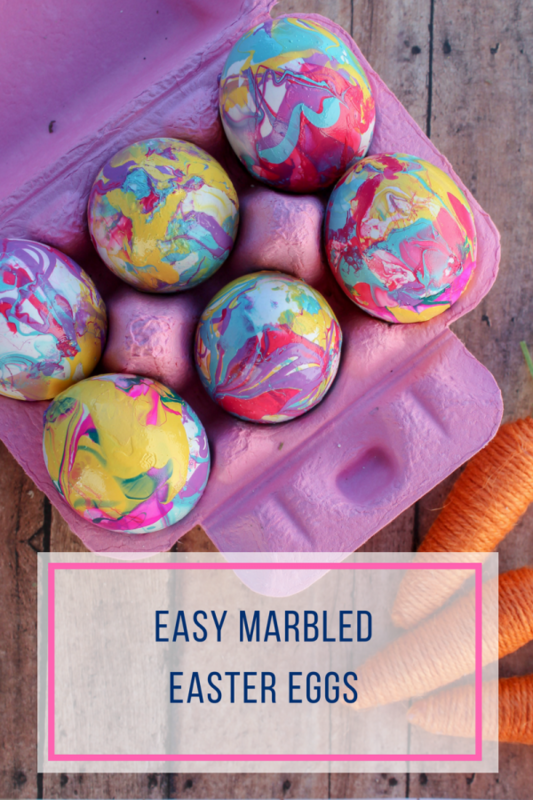 These marbled Easter eggs are so much fun to make and only take a few minutes to make stunning decorations you can use over and over again! 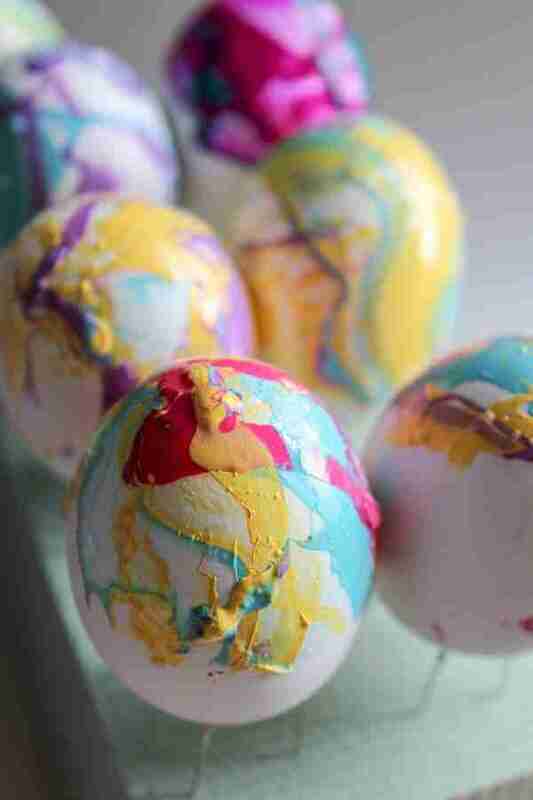 I’m always looking for new ways to decorate Easter eggs that is a little different than the store bought dye kits. 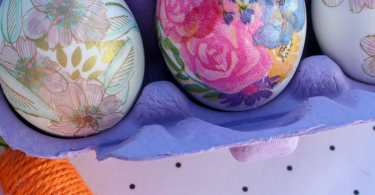 So this year we thought we’d experiment a little bit and came up with some fun decoupaged Easter eggs and these super colorful marbled Easter eggs made with a few simple supplies most of us already have sitting around the house! To get started, either hard boil your eggs for single use or blow out your eggs to use as decorations year after year. To blow out your egg, poke a small hole in one end of your egg and a slightly larger hole on the opposite end. 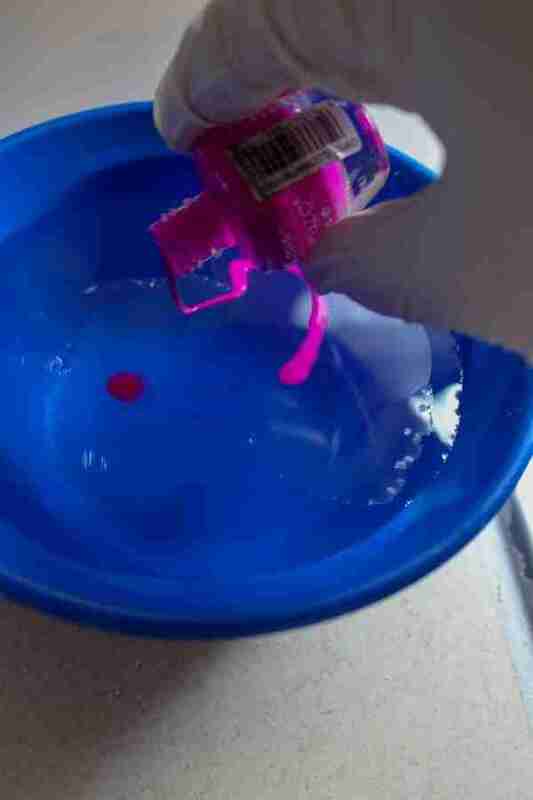 Blow out the inside of the egg gently and follow with a water rinse. 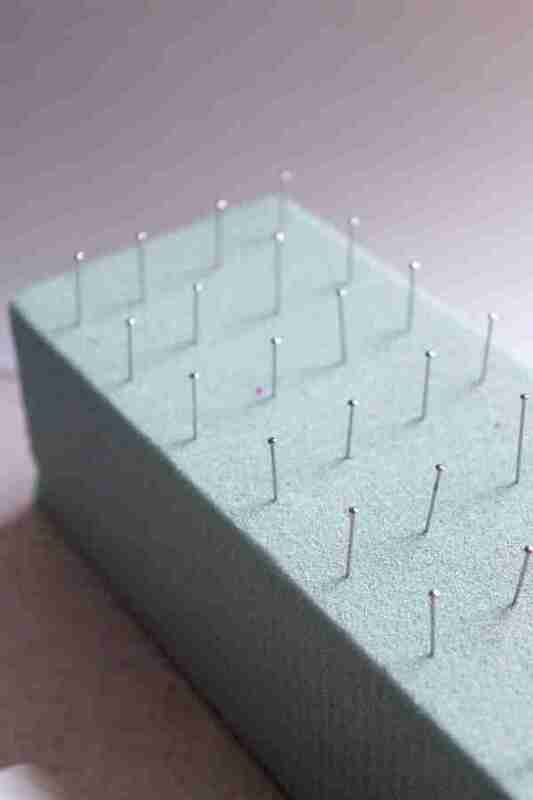 In a piece of craft foam, place pins in to set your eggs upright. This will allow your eggs to dry without having to be fully set down. 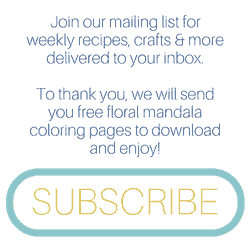 Fill a small bowl with room temperature water. 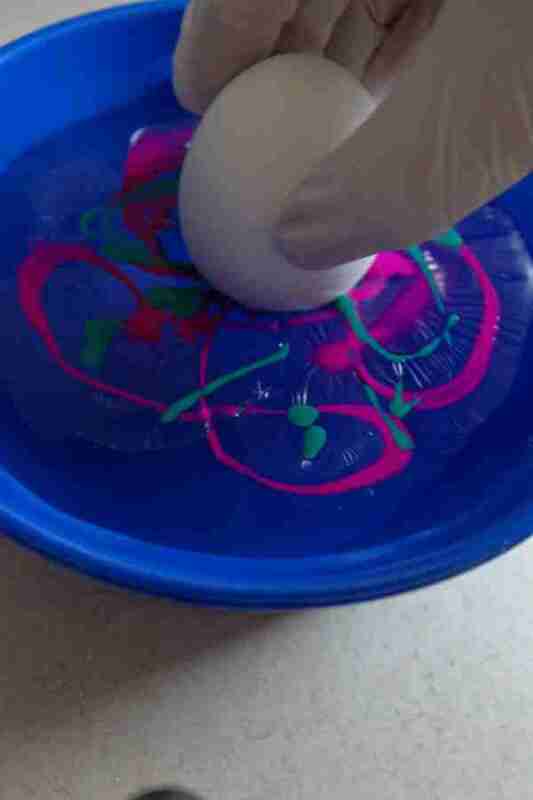 Pour nail polish in a swirling pattern on the water. If the water is the right temperature, the polish should float to the top. You can mix different colors or stick to one color. Use a toothpick to create a swirling pattern. Put your gloves on. 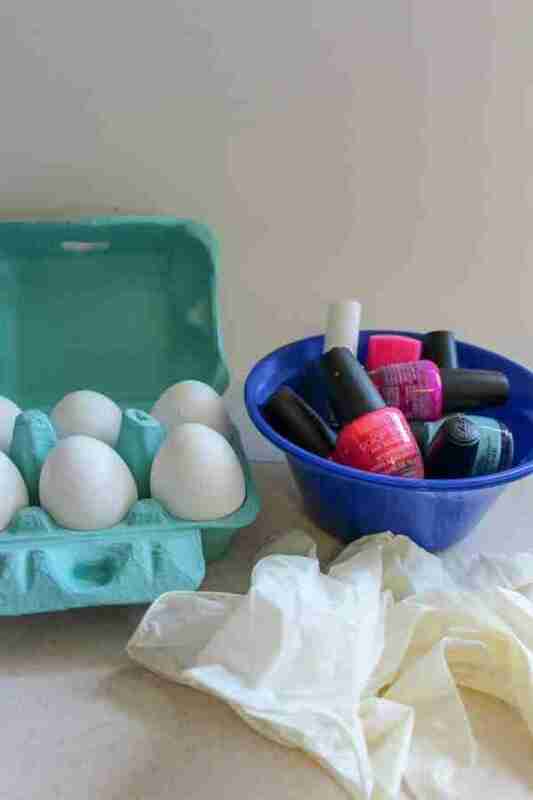 Dunk your egg into the polish water and set on the nails to dry. You will be able to usually get half of the egg dyed at once. 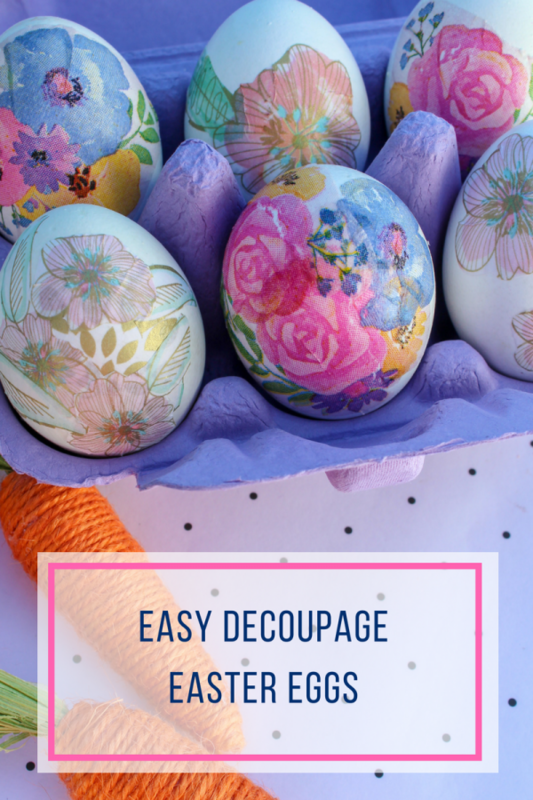 Check out these Easy Decoupage Easter Eggs too!